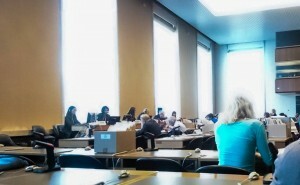 This is the first part of our intervention in front of CESCR (UN Committee for Economic, Social and Cultural Rights), made on 24 September 2015, where we communicated, for the first time ever in the history of Trieste, the unique and very serious current situation in the Free Port of Trieste directly to a UN Committee. Italy has committed serious and systematic violations of the Economic, Social and Cultural Rights of the citizens of Trieste, especially regarding the city’s Free Port . Our Free Port is regulated by Annex VIII to the 1947 Treaty of Peace with Italy, WHICH IS PART OF THE Italian law since 1952 (n.3054/1952). But, most importantly, the UN Security Council defined the status of the Free Port of Trieste in UNSC Resolution number 16, adopted in 1947, the same year as the Treaty of Peace. These facts have been acknowledged by the Italian Administrative Tribunal, by other countries (i.e. : like the United States of America, specifically by the US State Department) and even by the WTO/GATT agreements. In 1954, with the London Memorandum, the Italian government obtained the civil administration over the city of Trieste and it committed to respecting Articles 1 to 20 of Annex VIII to the Treaty of Peace. Since then, the Italian government has, instead, clearly violated all of these provisions, disregarding its International obligations towards the Free Territory of Trieste. Let’s make a quick example. Article 18.2 of Annex VIII states that: “the director of the Free Port shall not be a citizen of Yugoslavia or Italy”. Despite this clear requirement, every director nominated by the Italian Administration since 1954 was an Italian citizen! This violation is blatant and it needs to be reversed as soon as possible. As a further example, Article 18.3 states that: “in all appointments of employees, preference shall be given to the citizens of the Free Territory”; this preference has never been applied, in clear violation of the provisions of the International Covenant on Economic, Social and Cultural Rights. And these are only an example of the series of continuous violations Italy has been committing for the past sixty years. 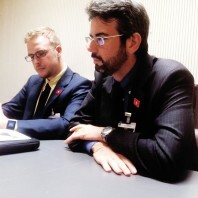 Furthermore, we recently requested and acquired an expertise from renowned experts in Public International Law, Professors Guglielmo Verdirame from King’s College in London and Thomas Grant from Cambridge University, who stated that: “[the] Acknowledgement of the existence of an obligation does not amount to accordance with the obligation. Whether there is a breach of the provisions in the Peace Treaty on the port will depend on how Italy at present treats the port”. Right now, the Italian government recognizes that the laws are in force, but has done nothing to implement them, nothing at all for decades. To the contrary, it took active part in breaking those laws. It is also evident that the Italian Government’s administration of the Territory of Trieste has been insufficient since 1954, and the creation of Italian laws to modify and/or limit the Status of that area have artificially created a de facto situation in which any economic development is limited and, as a matter of fact, practically impossible. Existing International laws defined by the Peace Treaty were enough to manage the Port between 1947 and 1954. All this has become common knowledge among more and more citizens of Trieste only in recent years, for the simple reason that the new technologies now allow, for the first time, a free flow of information. For decades, all of this was censored by all mainstream media. Thousands and thousands of Triestines reacted to this new information in a very civilised way, by organising and taking part in the largest demonstrations in decades on any socioeconomic issue in the streets of Trieste. Yet, even these mass demonstrations were almost completely censored by local and national media, and completely ignored by local politicians and the Italian administration. To be clear about this aspect: if the same massive rallies had happened in any other democratic setting, they would have opened a proactive phase of civil discussion about such a crucial matter for Trieste. However, the Italian reaction had been, once again, to ignore the citizens. And even worse: the Italian government initiated, after adding three paragraphs at the last minute and without any debate to article 272 of the Italian 2015 Financial Act (legge di stabilità), that establish an illegal procedure inside the International Free Port of Trieste, stating for instance that: “the government commissioner […] will adopt the required provisions to move the international law regime from the Old Port to other conveniently identified areas”, in clear contradiction with Article 3.1 of Annex VIII to the Treaty of Peace, which explicitly states that the Old Port must be included in the area of the Free Port! So, instead of complying with International treaties, Italy is now openly violating them, ignoring International Law, as well as the Social, Cultural and Economic Rights of the citizens of Trieste, and it is trying to get away with it. This is not going to happen: such a law shouldn’t have even been conceived, and it is another example of the Italian intention to continue to act in violation of International treaties, instead of finally act for their application. Furthermore, very recently, just a month ago, on August 26, a general strike, organised and joined by almost all port workers, demanded the urgent and full application of Annex VIII to the Treaty of Peace! The Italian administration’s first reaction to these protests has been to ignore this demand, and to get a police squad, specifically called from outside Trieste, to confront the Free Port workers. Italy has committed serious and systematic violations to the International Covenant for Economic, Social and Cultural rights. Today, Italy is clearly unable and unwilling to comply with its International obligations. In the meantime, the city of Trieste has lost almost a third of its population, as a direct consequence of the current illegal and unproductive administration of its Free Port. It has to be highlighted that in normal circumstances, a Free Port is a powerful economic engine that brings to some of the wealthiest regions in the world! in Articles 21 to 26 a clear solution towards a fair and legal administration of our Free Port is defined as an “International commission” composed by members of all the States of Central Europe and beyond, and this international commission “shall have the right to investigate and consider all matters relating to the operation, use, and administration of the Free Port”. In order to solve this open and urgent issue, and to make sure that the current port crisis does not worsen even further – which will surely happen if Annex VIII is not applied – we only see one possible solution: the internationalisation of the Free Port of Trieste, as defined, demanded and required by Annex VIII to the Treaty of Peace itself. Your committee has the power to turn around this unique and very serious situation. As citizens of the Free Territory of Trieste, we wish you a productive and free work towards the application of International laws in our Free Port, and towards the respect for the human and civil rights of hundreds of thousands of citizens. We would like to thank UNPO, Unrepresented Nations and Peoples Organisation, of which we are members, for the great support received in this instance.